Edanz expert editors bring so much more to us than their meticulous editing skills and insight. They have a fascinating wealth of life and study experience that we seldom get the chance to see. In this series we get to know the experts on the other side of your manuscript. 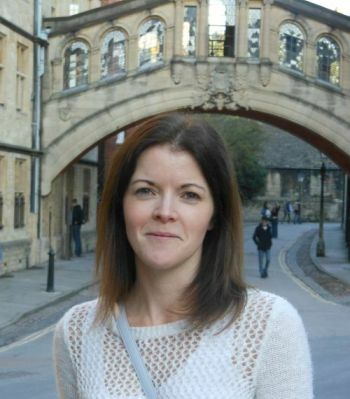 Kate Fox, DPhil, has been working with Edanz since 2009. At Edanz, Dr. Kate Fox applies her experience in diverse biological fields, ranging from microbiology to genomics, to multiple manuscripts from authors all over the world. Besides working as an academic editor and consummate professionalism, Dr. Fox is an excellent example of a modern academic and researcher: she keeps up to date with her contemporaries, promotes work, and provides writing tips through social media and blogging. Dr. Fox received her DPhil (PhD) from the University of Oxford and currently resides in England. How did you get into editing? What sparked your interest in becoming an editor for Edanz? During the course of many agonising revisions of my PhD thesis, I learned the importance of clear communication of scientific research. I honed these skills by presenting my research at international conferences and to international collaborators, and by defending my thesis during my viva. This helped me go on to publish many manuscripts during my postdoctoral research. However, the attention to detail instilled in me by my PhD supervisor, along with my passion for science communication, led me into a career in academic editing and I joined Edanz in 2009. Through editing, I enjoy applying my scientific knowledge and writing experience to help communicate the research of others. I feel passionate about enabling authors to overcome the language barrier to advance their field of research. What work, research, and other activities do you do apart from editing? As well as still publishing research myself, I am actively involved in a range of science writing and communication initiatives. I have a particular interest in the promotion of research to broader audiences through blogging and social media. What special strengths do you bring to your work? I aim to give every manuscript the care and attention it requires to reach the standard expected by a high-impact journal and to fulfill the high-quality specialized service expected at Edanz. My own publication history helps me understand the needs of journals and my attention to detail ensures the quality of the end product. Look for more Q&A with Dr Fox as well as other editors in the future. View Dr Fox's full profile.